Skype has always been considered as the first priority for a quick conversation, which is used by various small business companies. It is more often used as a go-to communication tool that connects you with your clients all across the globe. At MyBloggerLab, we use Skype to have a quick conversation or a team meeting with our team members live-in different countries across the world. What if you are starting a company where you want to want to provide a decent option to your users through which they can interact with you? In this scenario, Skype is the ideal tool. In this article, we will show you How to display Your Skype Contact in Blogger? The First thing you need to do is to generate a Skype contact widget through Skype Developer Area. Using this widget generator, you can generate a Skype contact widget for your blog. On visiting the Skype Widget Generator, you will able to see a quick start gadget created. Entering Skype ID: Firstly, insert the Skype ID which you would be using to interact with your readers. Now whenever, your users would use your gadget it would send notifications to the Skype Account which you have entered, so make sure you enter a correct account. Selecting The Type: It entirely depends on you, that what options you are willing to provide to your users. You can allow them to have a chat with you or can let them have a Direct Call. Everything depends on the needs of you and your users. Size of the Buttons: Now you have to select the Size of the buttons. You may change the width through the tool or you can use the default (Recommended) Settings. Congratulations: You have successfully added a Skype Contact widget in Blogger. You can now preview it and see whether things are working fine or not. Let us know if you face any errors or bugs. 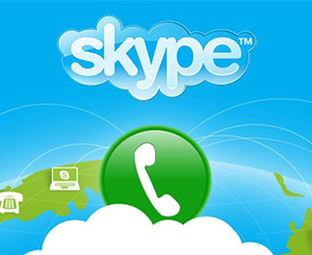 We hope this tutorial would help you and your users to interact with each other through Skype Contact. Let us know if you think you have a better way of doing this. What are your thoughts about incorporating Skype with your business? Does it is worth considering?